Portals, which were created in an older version, will be patched. 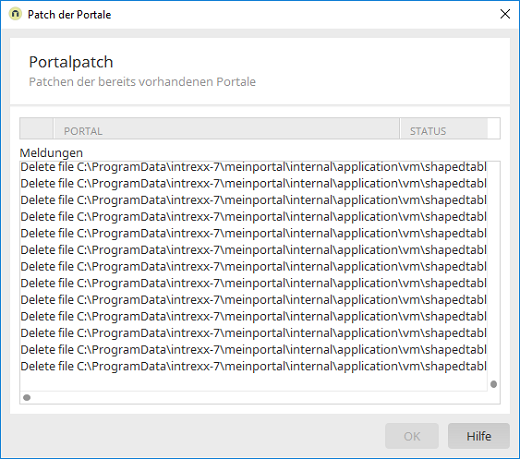 The progress of the portal patch is shown here. Closes the dialog. Opens the dialog Finish the installation.